IN WESTBROOK Summer concert The Bob Charest Band plays Wednesday, July 27, from 6-8 p.m., at Riverbank Park in Westbrook. Agatha Christie’s “The Unexpected Guest,” July 21, 22, 23, 7:30 p.m., Saco River Theatre, 29 Salmon Falls Road, Buxton. $18-$20. July 21 is Pay-What-You-Can. 929-5412 or www.sacorivertheatre.org/events. Auditions, for Windham Center Stage Theater’s fall musical, “Little Shop of Horrors.” Show dates are Oct. 14-16 and 21-23. For more information, see www.windhamtheater.org, email windhamcenterstageetheater@gmail.com or call 893-2098. “Can-Can Parisien and Raymonda” presented by Maine State Ballet, 7 p.m. Thursdays and Fridays and 2 p.m. Saturdays, MSB’s Lopez Theater, 348 U.S. Route 1, Falmouth. 781-3587 or www.mainestateballet.org. Girls Just Wanna Have Fun, costumed ’80s cover band. 6-7:30 p.m. at the Gazebo, Gorham. Parking along South Street or Gorham Municipal Parking lot. Douglas Elder, summer concert, 6:30-8 p.m., Dundee Park, Windham. Park opens at 5 p.m. Concessions available. www.windhammaine.us/155/Parks-Recreation. The Substitutes, summer concert, 6:30 p.m., Mill Creek Park, South Portland. Bob Charest Band, summer concert, 6-8 p.m., Riverbank Park, Westbrook. On-site cash barbecue, 5-7 p.m.
Don Campbell Band, summer concert, 6:30 p.m. in Memorial Park, Sawyer Road, Scarborough (high school if rain). Free shuttle from high school parking lot; 50/50 raffle; concessions. 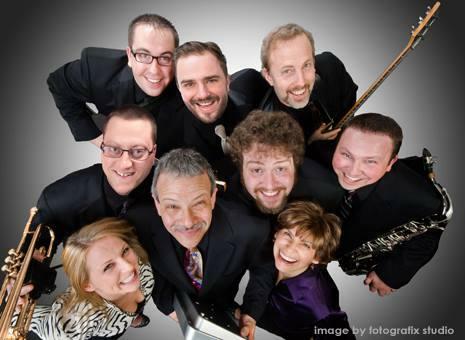 Saco River Jazz Ensemble concert, 5:30 p.m., Tory Hill Meetinghouse, 1197 River Road (intersection soutes 112 and 202), Buxton. David Mallett, presented by Saco River Theater, 7:30 p.m. $25-$30. Reservations advised. 929-6472 or www.sacorivertheatre.org. The Birthday of Phebe Beach, celebrated by Carolyn Grimm, presented by Denmark Historical Society, 2 p.m. at Centennial Hall, 72 West Main St., Denmark. Maine Historical Society, guided tours of the boyhood home of poet Henry Wadsworth Longfellow, Portland. Monday-Sunday, first tour departs at 10:30 a.m., Through October. Garden open 10 a.m.-5 p.m. $3-$15. 774-1822 or www.mainehistory.org. The Bob Charest Band plays Wednesday, July 27, from 6-8 p.m., at Riverbank Park in Westbrook.